In recognition of the Town of Banff’s location within Banff National Park and on traditional Stoney Nakoda Nation lands, recreation programs and services offered directly, or in partnership with the Town, shall aim to build or enhance all residents’ sense of belonging and well-being through a connection to the natural environment. The Essential Local's Guide to Banff is published twice a year, listing classes, programs and workshops available in town. Download a copy or pick up the latest edition at Town Hall, The Fenlands, or the library. Register for Town of Banff classes or programs easily online. Create an account and keep track of your upcoming courses. The Town of Banff offers a variety of classes, programs and drop-in sports throughout the year. 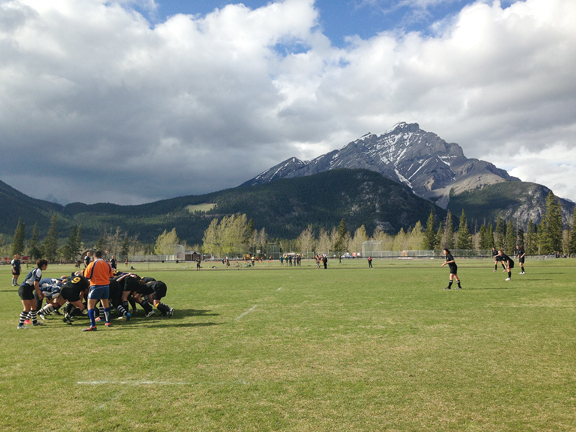 Rent a facility or an outdoor space in the Town of Banff for events, tournaments, or private gatherings. From May to October, the Banff Recreation Grounds are the place to be for softball, soccer, rugby, tennis, basketball, skateboarding, and more. The Fenlands is the Town of Banff's arena - home hockey, curling, public skating, and much more. Banff is a playground for all ages. Many parks offer playground equipment safely designed for specific ages and activity. There are a variety of summer and winter sports clubs and leagues in Banff for both adults and children. Banff is full of hiking trails and pathways in town and throughout the national park. Take a look at some nearby spots. Weekdays 10 a.m. to 8 p.m. Weekends 8 a.m. to 2 p.m.